Who is ready for some freebies? Here are some of the best ones that I could find for today! Grab them quick, you never know when they will run out! This is a coupon print! What a great find! 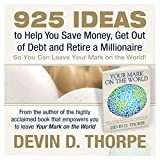 Free Audible Trial From Amazon and Two Free Books! This is a great deal! When you try out audible, you will get 2 free audio books to keep. We love audible at our house! If you don’t like it, you can cancel before the 30 days and you will not be charged. This is a free Better Homes and Gardens Subscription for 2 years from Mercury Magazines. You will need to answer some questions, x out of some offers and confirm your email. Free Lego Build on February 5th or 6th! You will need to register for this program! It looks like fun. They are making a caterpillar mini-model. The Michael’s near us always has great slime classes! Take the no plastic straw challenge and possibly get a free metal straw. They randomly select people to get them. So what do you think? Do you see any freebies you like? I would love to hear!